For the third consecutive year, zine librarians & their friends are raising money to subsidize a librarian of color’s participation in the Zine Librarians Unconference. Here is the application form. Applications due June 6, 2014. This year’s conference will be held at Duke University’s Sallie Bingham Center for Women’s History & Culture July 18-20. So far librarians have contributed $215 and $217.25 was raised at the NYC Feminist Zine Fest on March 1st for a total of $487.25. The Sallie Bingham Center will cover the winner’s single dorm room, as well. The ZL(u)C 2014 Wiki Is Up! You can go to it and edit like a wild banshee! Most especially you can REGISTER for the conference, to be held July 17th-19th, 2014. Here are some zines that discuss or even detail ways to end a pregnancy. Please be careful with how you carry out instructions found in a zine, or really any information resource. Neither I nor anyone from the zine librarians group is taking responsibility for the content found in the zines. Zines do not go through a peer review process and most zine makers do not have significant medical training. That doesn’t mean they don’t have valid knowledge about their own bodies and yours, but, just, don’t be reckless. Doris #23 by Cindy Crabb, published in 2006. An explanation of menstrual extraction is just one part of this issue Cindy Crabb’s rightfully celebrated personal zine. In addition to ME, you’ll also read about Cindy’s grandma, outdoor adventures and the lasting effects of childhood sexual abuse. The zine is illustrated with stick figure comics and drawings in Cindy’s inimitable style. Cindy and Doris are hard not to love. Held at: Bako Zine Library, Barnard Zine Library/Columbia University, Bingham Center/Duke University, Carnegie Library of Pittsburgh, Denver Zine Library, Multnomah County Library, Nadine Vorhoff Library/Tulane University, Pierce County Library System, Timberland Regional Library. You can also buy it from Cindy and from a bunch of distros (which you can look up on your own). I’m a sucker for a DIY zine that includes a bibliography and glossary, which this one does. As the title suggests, this zine is more about knowing your body and preventing pregnancy than it is about abortion, but it does contain information about herbal emmenagogues. And if you want to know a lot about cervical fluid, this is the zine for you! Free to Choose: a Women’s Guide to Reproductive Freedom, by Esther Eberhardt. (Note the Eberhardt Press catalog title leave’s out the word “Women’s,” hence some irregularity in library catalogs. In addition to being pretty this pamphletty zine provides history and context (stories from the “bad old days,” The Abortion Handbook, Jane), as well as information about menstrual extraction tools and procedures. It includes a short list of bibliographical references and is anti-copyright. This is a classic women’s repro health DIY guide, originally published in French. Includes emmenagogues and advice for what to do to prevent pregnancy after a risky sexual encounter. Mine: an Anthology of Women’s Choices, edited by Meredith Stern, 2002. You won’t necessarily get the recipe for an herbal abortion or instructions for performing menstrual extraction. What this compilation zine will provide is other women’s stories about medical and surgical abortions, herbal abortifacients, menstrual extractions and the women’s thought processes behind their decisions. Here’s the Barnard zine abstract: This political zine gives alternative ways to view and deal with menstruation, focusing on herbal and DIY remedies. It also critiques of the “culture of shame and ignorance” surrounding menstruation, provides a bibliography, and provides instructions on how to make a cloth pad or perform a menstrual extraction. Red Alert #3, by the Blood Sisters collective, early 2000s? She’s So Very, by Melissa Ann, 2008? Mostly a personal zine, about a lot of topics, this zine also includes an emmenagogue recipe–and interviews with Le Tigre band members about feminism, if you’re into that sort of thing. What Is This Thing Called M.E.? 2006 or later? 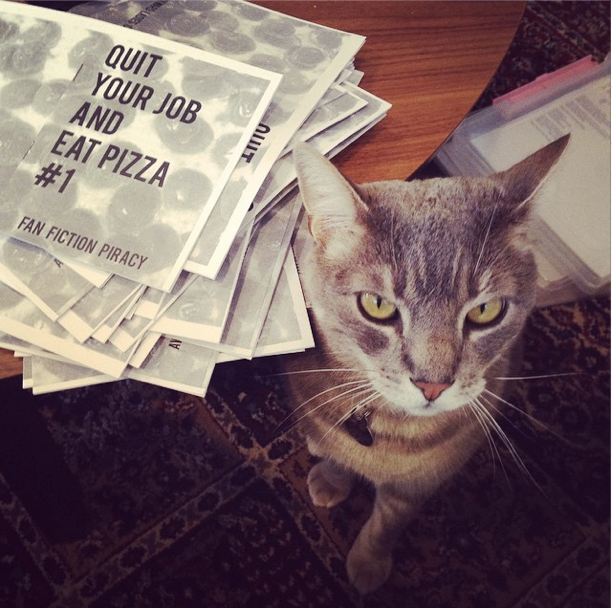 Personal, DIY, cut and paste goodness–how have I never heard of this zine before? Here’s the Barnard abstract to another classic zine that still shows up at books fairs, zine fests and in distros, 20 years after it was published): This political DIY zine gives alternatives routes to female reproductive health. Included are guides to self-examination and forms of birth control, emmenagogues, and childbirth, as well as descriptions of diseases and tips for radical menstruation. There are illustrations and a bibliography. Note, re: library holdings. I searched WorldCat and did an internet search. I have surely missed other libraries, whose catalogs are not online or whose holdings are not otherwise represented on the open web or for whatever reason don’t show up very high on a results list. Librarians should feel encouraged to add their holdings in this post or in the comments for me to integrate as I am able. 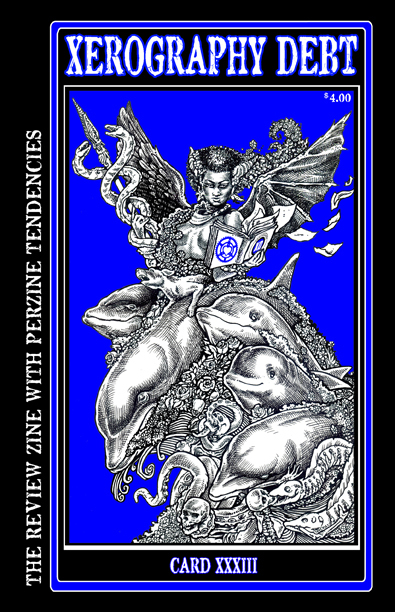 “As a zinemaker, I often go about my business of making zines because I still believe in tangible artifacts. Or, as Jeff Somers says in his column in this issue, they have discreteness. I forget that with print runs frequently fewer than 500, or even 100 copies, zines are often ephemeral. I knew that zine collections at libraries exist, and have contributed to several, but it wasn’t until after the [Caxton Club zine] symposium that it really sunk in that these librarians and archivists are unsung heroes of zine culture. They are saving and preserving documentation on events and subcultures that would otherwise go unrepresented or be grossly misrepresented. They are also working to make zines discoverable to new readers.